Given the much-hyped connection to Thor: The Dark World, there were surprisingly few overt references to the Marvel Cinematic Universe (outside of direct references to The Avengers and Thor: The Dark World, in terms particularly of Thor and Loki, whose name is skirted around). Have we heard Coulson say Loki's name in Agents of S.H.I.E.L.D. yet? That the name was never uttered onscreen in this episode as far as I can remember is interesting, and perhaps telling. If Coulson is indeed an android or a LMD, as most fans assume he is, could he have been programmed without certain key specifics of the attack on his person? To what end? First of all, let's just stipulate that there are a handful of name-drops in the episode. The Chitauri get mentioned, as does Thor on multiple occasions, including being used as a threat to force collaboration from the Berserker. The events of The Avengers are referenced once again, particularly Coulson's death by Asgardian spear. That's particularly notable when Randolph/Berserker takes a similar stabbing and keeps on ticking. Professor Elliot Randolph was played by Peter MacNicol, best known for his roles in Ghostbusters II, Numb3rs...and Ally McBeal, in which he starred alongside future Iron Man Robert Downey, Jr. His character in Ally was named John Cage--not too far removed from Luke Cage, who was the first Marvel Universe hero rumored to appear on Agents of S.H.I.E.L.D. His story was based on the real-life Norse myth of shamanic "Berserker" warriors...who have, as far as I can tell, never actually appeared in Marvel's Thor comics to any great extent. There is, as we have here, a single, mostly earthbound Berserker who sticks out in Marvel's history. The character carries a spear, not a staff, and a number of other enchanted artifacts like armor and gauntlets that each have their own magical characteristic. While he appears to have enough characteristics in common with the Asgardians to be mentioned here, he first appeared in an Avengers comic and is not explicitly tied to the Berserkers of myth. He does, indeed, come from a people very much like him, but they've all died out and it's not clear that they were in any way connected to the gods of Asgard. He's also not very bright, so the notion of hiding out as a college professor is probably right out for this character. 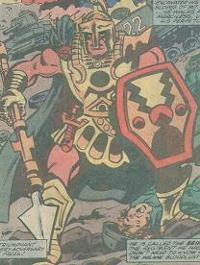 A villain named Svip did appear in Journey Into Mystery recently, identified as an Asgardian Berserker. In the video game series Fire Emblem, Berserk is a staff: if a character is hit by this staff, he will attack the nearest unit, whether it is an enemy or an ally. There is also a job class named Berserker, which are depicted wielding giant axes and a high critical hit rate. It isn't JUST that he asked, "Did I fall asleep?" It's that she responded, "For a little while." That line is straight from Dollhouse, so it was a nice nod to the fans. Probably the most intriguing part of that scene was how her voice sounded digital right before he woke up. Interesting, that. As somebody who never watched Dollhouse, I wouldn't have caught that reference. He also provided us with a side-by-side comparison of the scenes in GIF over at Whedonesque. And, yes, we've got the apparent PTSD that's coming along with the phrase "It's a magical place." He's apparently figured out that there's something not quite right about that phrase, as last episode saw him stop himself mid-sentence and this week we get the odd night terrors it seemingly provokes. 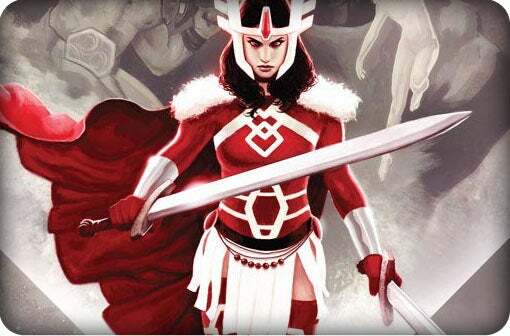 With Jaimie Alexander's stock apparently rising and Warner Bros. possibly knocking at her door for a Wonder Woman film, might we see Sif take a bigger and more potentially lucrative role in the next Thor or Avengers movies? Time will tell, but don't be too surprised. She could be a fun one to try and recruit into Agents of S.H.I.E.L.D., too, since she's not yet a huge movie star. At one point in the episode, Skye wonders whether gods from other pantheons, specifically calling out the Hindu deity Vishnu, exist as aliens in the Marvel Cinematic Universe, as do the Asgardians. In Marvel Comics, Vishnu made his first appearance in Thor #300. 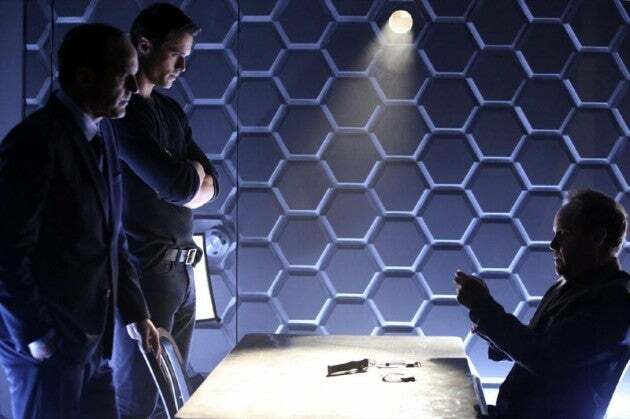 Yes, they did mention Marvel's supermetal Vibranium when talking about the materials that construct the interrogation room. The room also seems to be a modified version of what they put Loki in during The Avengers. Jakob Nystrom and Petra Larsen, the two principal antagonists who appear at the park at the beginning of the episode, are original creations for the show. The fact that they are, when there are so many similar Asgard-adjacent characters in the Marvel Universe, seemingly underlines the philosophy on Agents of S.H.I.E.L.D. as it differs from that of Arrow, where anytime they can make a random supporting character into a recognizable DC name, they do. Those characters could easily have been Enchantress and The Executioner with a little tweaking.